Hey everyone. Guilty again. Sorry for my absence. This time though, for a different reason. When I started this blog my intention was to keep everyone up to date on my life in Uganda, including stories, anecdotes, misfortunes, heartbreak and amazing friendships, revealing a world much different than the one most of us grew up in. After 14 months in Uganda, I think I have finally reached the point where I feel established and at “home.” This causes me to second-guess what I write about, as for me, a lot of these experiences have become a part of my every day life. Oh a mouse just ran over my foot while I was cooking? At least it was a small one. The power has been out for 2 days? Ok-who has candles? There is another child with CHD that has a small chance of being accepted for surgery, even if we try every option possible? Try not to get yourself personally attached this time, Amy. Really try. Let me take a step back. This is not to say that I am not continuing to cherish my time here, I am-but the viewpoint is most certainly different. This is no longer a trip but a lifestyle. One that continues to challenge me, reward me and allow me to grow into a better version of myself everyday. One of my good friends, John, just left Gulu after 4 amazing years working for a local school. He says his favorite question whenever he goes home is “how was your trip?” Oh you mean the last 3-4 years of my life? They were good! As I prepare for the possibility of leaving in June I can’t help but get excited. The question “Are you ready to leave?” is a bit more complicated than it first appears. Will I be excited if I end up leaving at the end of June? Absolutely. But that will be because I have an acceptance to medical school, which will finally allow me to pursue my dream of becoming a physician. Will I be ready to leave the people I have befriended, the relationships I have formed and the life I have built here? No, but I know that I will involved in Uganda for the rest of my life. I can’t imagine not returning. As for my departure, that’s all up in the air. Stay tuned for Season 2 of “ Amy continues the agonizing wait for a medical school acceptance.” For those who say, “Patience is a virtue”, I’m as virtuous as they come right about now. 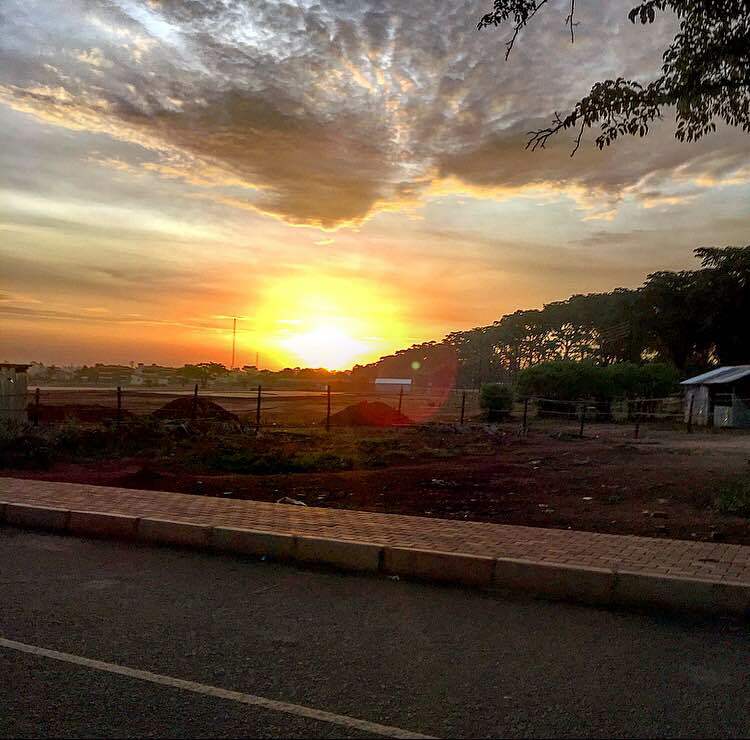 “Okay Amy, enough about your inner thoughts what the heck have you been up to for the past 2 weeks?” Well, I returned to Gulu after 2 productive site visits with ITW and like always, felt a sense of “coming home”. I was soon faced with the reality that my roommates had tried to prepare me for. All of the water in the dam that supplies Gulu had dried up leaving those of us with running water, waterless. This meant going to the local bore hole with jerry cans so we could fill toilets, cook, and shower. Now at first this sounded like a nightmare, but I have to admit I really enjoyed the experience. 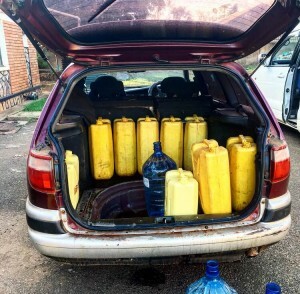 Something about having to do a full body squat with a filled jerrycan really made me appreciate the general plumbing I have taken for granted my entire life and I liked the idea of “working for my water”. 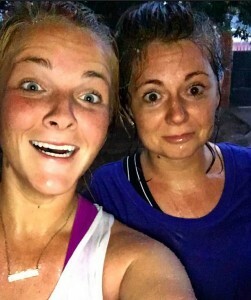 Who needs Crossfit-just move to Africa. Part of this is naivety, since it only lasted 8 days. If it were an every day occurrence I probably wouldn’t have this outlook. The good news is that rainy season has officially begun and has slowly brought water to our house and everyone else in Gulu who was suffering from the drought. I use the word suffering for myself lightly, as I know there were many people in the village whose crops were dying because of the drought. When I put it like that, having to shower with a bucket shouldn’t really fall into the realm of suffering at all. As for work, Twalib was here for 3 days each of the past 2 weeks, leading to 2 extremely productive weeks. We were able to see over 100 patients, hold a penicillin clinic with 140 attendees and follow up a bunch of people in the Registry. In addition, the medical students received some amazing lectures from Twalib, which I know they have been yearning for. To top off an incredible workweek, my old roommate Alice came to visit from Nairobi, or Nairobbery as she likes to call it. I guess she’s found herself in some unfortunate situations, but I digress. It was so refreshing to have her back and we are all counting down the days until she returns in June. As for this week, in addition to our busy clinic days, I have spent a lot of time getting organized for Support Group 4 on Saturday and the official launch of our Lira project on Monday. A few things still need to come together for Lira, but I am confident that they will. The following pictures are from 2 runs that I have taken in the last 2 weeks. My friends from high school and I decided that we might as well add another line to the list of bad decisions we have made as group and signed up for the Nashville Marathon in November. In my opinion, this is the worst decision yet, although our parents probably have a different opinion. 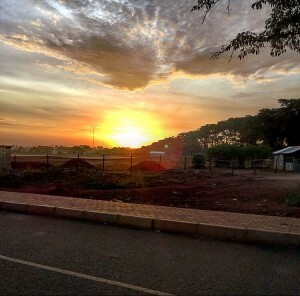 To be able to finish a run and shower before work I have to leave a little before the sun comes up which has allowed me to embrace Gulu’s beauty from a different standpoint. Carolina and I also got caught in one of the first big storms of the year but we didn’t see it coming….at all. We were about 2 miles out when it hit and had no option but to keep heading home. We could’ve filled a bucket with the amount of water we dumped from our shoes.